CJHSLA urges the public, especially the Jewish community, to recognize and appreciate Pastor Hagee's stalwart leadership in American Zionism, as well as his overt, compassionate and substantial support for Israel. Hagee's organization, Christians United for Israel, has raised over $30 million for charities in Israel, and for this he deserves our gratitude. Two. This is the second media flare-up about Pastor Hagee in the last two months. In late March, the issue was his purported antagonism to Catholicism and gays. He addressed those concerns in a dignified statement before his congregation -- the five-minute video can be viewed here (scroll down slightly). (The Catholic League's May 13, 2008 press release commended Hagees' sincerity and courage in handling the controversy, and called it "closed"). As most of you know, two years ago, I founded Christians United for Israel. I believed then and believe now that Israel’s friends dare not be silent when Israel is facing such serious threats to her existence. Ever since I started speaking out for Israel, I have come under intense scrutiny and increasing attack. I did not plan to spend this period of my life in the middle of a political fire storm. Rest assured I will not shrink from our work on behalf of Israel. I will continue to stand with Israel in the future. [Applause, followed by a standing ovation]. So in February of 2006, I brought together 400 of the leading evangelicals in America -- pastors of megachurches, guys who did all the television five times a week nationally, people who own the radio and television Christian networks, presidents of universities -- people who are the impact people, and I presented the idea about a Christian Night for Israel. They only care when you go in their offices, look them in the eye and say “I’m a Christian and I support Israel” and you give them a list of talking points for every one of them, and every senator and every congressmen hears the same message from Americans from Maine to California on one day. Four. In the sermon from 1990 that caused the current flap (via a video posted on YouTube on May 17, 2008), Pastor Hagee cited two Biblical sources for his belief that both the tragedy of the Holocaust and the miracle of Israel were part of God’s ultimate plan. Both were from the Hebrew Bible: Jeremiah 16 and Ezekiel 37. "In the early morning [on October 21, 1942] we arrived at Treblinka on the transport from our ghetto. On the ramp the selection process had begun. Together with a group of youngsters, I was taken from the crowd and pushed aside. We stood and watched the groups being led in the direction of the gas chambers. "Suddenly, we heard the familiar, strong voice of our rabbi. He was standing in the midst of the Jews of his community reciting the confessional viduy prayer, said when Jews know they are about to be martyred. The rabbi said a verse, and his "congregation" repeated it after him, verse by verse." . . . The Jews described were from the city of Piotrkow in Poland, and the rabbi referred to was my father. My father's life was taken at Treblinka after he said the viduy. . . . At our last meeting, as . . . we were standing on the doorstep, he recited from Jeremiah 16:6-7: "Both the great and the small shall die in this land; they shall not be buried; neither shall men lament for them, nor cut themselves, nor make themselves bald for them; neither shall men break bread for them in mourning, to comfort them for the dead; neither shall men give them the cup of consolation to drink for their father or for their mother." Then he stopped for a while, looked straight into my eyes, and continued, again from Jeremiah, 13:16: "And there is hope for thy future, saith the Lord, And thy children shall return to their own border." Next he addressed me directly: "If you manage to get out of here, go and return to the Land from which we were expelled, because only there will the Jewish people be itself and become strong enough to prevent such tragedies." Five. The significance of the current onslaught on Pastor Hagee was discussed by David Brog in American Thinker yesterday, and in a May 25 interview in Haaretz. In the Washington Times yesterday, Joel Mowbray contributed an important piece (noted here by Power Line), which describes in part Hagee's appearance at Stephen Wise Temple. Anne Lieberman had an eloquent post here that also sees the broader implications. In the video linked above, reflecting the earlier March onslaught, Pastor Hagee said it was “truly disappointing to me to see how quickly accusation and rumor crystallize into fact in the hands of media outlets, which do not seem interested in subjecting these claims to serious review in search of the truth.” It is time for another serious review. The above links provide a start. 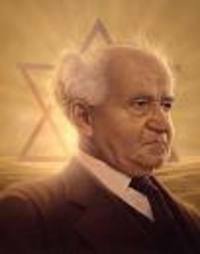 In its November 1961 issue, The Atlantic Monthly published an extraordinarily eloquent essay (“The Kingdom of the Spirit”) by David Ben-Gurion, at that time Israel’s prime minister for 11 of its 13 years of existence. The essay is a spiritual and political history of Israel, starting 3,000 years ago. The Jewish people are not only a national and political unit. Since their first appearance on the stage of history they have been the personification of a moral will and the bearers of a historic vision which they inherited from the prophets of Israel. It is impossible to understand the history of the Jewish people and their struggle for existence -- both when they were a nation rooted in their own soil and more or less controlling their own destiny, and when they were a wandering people, exiled and dispersed -- unless we bear in mind the unique idea which their history embodies, and the stubborn opposition, not only physical, political, and military, but also spiritual, moral, and intellectual, which the Jews have always confronted. Today, with Israel at the center of the current battle to preserve religious and political freedom from the latest armed totalitarian threat, it is important to remember this essay. Continue reading here. Ariel University Center (AUC) is known as Israel's most-popular and fastest-growing higher educational institution. Located in the city of Ariel, a bustling city of 20,000 people in the Samarian hills, the 26-year-old educational institution continues to grow and diversify to meet the new challenges of a burgeoning society. It currently boasts 9,500 students from all over the country, with over 70% coming from the greater Tel Aviv area and central Israel. Come hear Avery Ellisman, Head of US-based efforts to support AUC, and Prof. Zvi Shiller, Head of AUC's Dept. of Mechatronics, provide background and details on how what was once a small adult-education center managed to become the place for Israel's young to seek and gain higher education. For more information, check the CJHSLA website. "It’s conceivable that there are those in the Arab world who say to themselves, 'This is a guy who spent some time in the Muslim world, has a middle name of Hussein, and appears more worldly and has called for talks with people, and so he’s not going to be engaging in the same sort of cowboy diplomacy as George Bush,' and that’s something they’re hopeful about. I think that’s a perfectly legitimate perception as long as they’re not confused about my unyielding support for Israel’s security." Which part of "unyielding support for Israel's security" is unclear? Case closed! But I’m not sure “unyielding” means what he thinks it means. Obama attributes the endorsement of Hamas to its “perfectly legitimate perception” that he will (1) hold unconditional talks with its sponsor in Tehran, and (2) no longer engage in George Bush’s “cowboy diplomacy.” And in Obama’s mind, “cowboy diplomacy” includes a public warning to Iran about Israel. This is the global test on stilts. The U.S. cannot warn a potential nuclear aggressor against Israel of devastating consequences, if the warning would lose us points at the UN. No wonder Hamas is not worried about Obama’s “unyielding” support for Israel. [W]hat Mr. Obama has proposed is not selective engagement, but a blanket policy of meeting personally as president, without preconditions, in his first year in office, with the leaders of the most vicious, anti-American regimes on the planet. Mr. Obama has said that in proposing this, he is following in the footsteps of Reagan and JFK. . . . can anyone imagine Presidents Kennedy or Reagan sitting down unconditionally with Ahmadinejad or Chavez? I certainly cannot. If a president ever embraced our worst enemies in this way, he would strengthen them and undermine our most steadfast allies. To Israeli ears, Bush's words were uncontroversial. Israel is beset by enemies who daily call for its physical annihilation and while doing so, build and support terror forces who attack Israel. For most Israelis, the notion that these enemies can be appeased is absurd and deeply offensive. . . .
From an Israeli vantage point then, it was shocking to see that immediately after Bush stepped down from the rostrum, Obama and his Democratic supporters began pillorying him for his remarks. . . .Obama’s response to Bush's speech was an effective acknowledgement that appeasing Iran and other terror sponsors is a defining feature of his campaign and of his political persona. As far as he is concerned, an attack against appeasement is an attack against Obama. Mr. Obama says he favors "tough diplomacy," including tighter sanctions on Iran's Revolutionary Guards Corps. Last fall, however, he was one of only 22 senators to oppose a Senate resolution calling for the IRGC to be designated as a terrorist organization, a vote that made him a dove even within the Democratic Party. Mr. Obama argued at the time the amendment would give the administration a pretext to go to war with Iran. It was an odd claim for a nonbinding resolution. . . . In the Atlantic interview, Mr. Obama declared that "my job in being a friend to Israel is partly to hold up a mirror and tell the truth," particularly in respect to the settlements. Yes, there are mirrors that need to be held up to those settlements, as there are to those Palestinians whose terrorism makes their dismantlement so problematic. Perhaps there is also a mirror to be held up to an American foreign-policy neophyte whose amazing conceit is that he understands Israel's dilemmas better than Israelis themselves. Whether or not Iraq, Iran and Israel become the important issues in the coming campaign (as opposed to ephemeral issues such as gas prices or content-less slogans such as “hope” and “change”), the central historic issues will in fact be the ones dealing with the multi-front war now hanging in the balance in the Middle East. It is ironic that McCain’s near-dead primary campaign was energized (and Rudy Giuliani’s effectively ended) earlier this year when Lieberman crossed the aisle to endorse him, and that now McCain’s decision whether to look back across the aisle for his vice-presidential choice may be the only way to provide a centrist, fusion ticket necessary not only to win, but to meet the central challenge the winner will face. 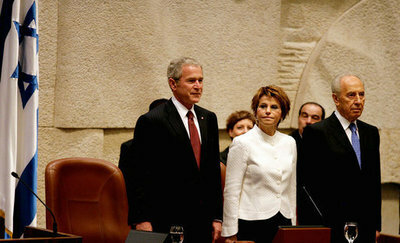 President George W. Bush stands with Dalia Itzik, Speaker of the Knesset, and Israel’s President Shimon Peres on the floor of the Knesset Thursday, May 15, 2008, in Jerusalem. During his remarks to the members of the Israel parliament, President Bush said . . . “What followed [Israel’s Declaration of Independence] was more than the establishment of a new country. It was the redemption of an ancient promise given to Abraham and Moses and David -- a homeland for the chosen people Eretz Yisrael.” (White House photo by Shealah Craighead). Centuries of suffering and sacrifice would pass before the dream was fulfilled. The Jewish people endured the agony of the pogroms, the tragedy of the Great War, and the horror of the Holocaust -- what Elie Wiesel called "the kingdom of the night." Soulless men took away lives and broke apart families. Yet they could not take away the spirit of the Jewish people, and they could not break the promise of God. (Applause.) When news of Israel's freedom finally arrived, Golda Meir, a fearless woman raised in Wisconsin, could summon only tears. She later said: "For two thousand years we have waited for our deliverance. Now that it is here it is so great and wonderful that it surpasses human words." Right up to the moment of the actual vote it was hard to foresee the outcome. Pressures and temptations, threats and intrigues and even bribes managed to sway the crucial votes of three or four little republics in Latin America and the Far East back and forth. The government of Chile, which had been in favor of partition, yielded to Arab pressure and instructed its representative at the UN to vote against. Haiti announced its intention of voting against. The Greek delegation was of a mind to abstain, but also decided at the last minute to support the Arab position. The Philippine representative refused to commit himself. Paraguay hesitated; its delegate to the UN, Dr. Cesar Acosta, complained that he had not received clear instructions from his government. In Siam there had been a coup d’etat, and the new government had recalled its delegation and not yet dispatched a new one. Liberia promised to support the proposal. Haiti changed its mind, under American pressure, and decided to vote in favor. . . .
On Saturday morning, they said, the General Assembly would convene at a place called Lake Success and there they would determine our fate. “Who is for life and who for destruction,” said Mr. Abramski. And Mrs. Tosia Krochmal fetched the extension cord from the sewing machine in her husband’s dolls’ hospital to enable the Lembergs to bring their heavy black radio receiver outside and set it up on the table on the balcony. (It was the only radio in Amos Street, if not in the whole of Kerem Avraham.) They would put it on at full volume, and we would all assemble in the Lembergs’ apartment, in the yard, in the street, on the balcony of the apartment upstairs and on the balcony opposite, and so the whole street would be able to hear the live broadcast, and learn the verdict and what the future held for us (“if indeed there is a future after this Saturday”). “The name Lake Success,” Father remarked, “is the opposite of the Sea of Tears that symbolizes the fate of our people in Bialik. . . .
. . .[T]he fateful meeting due to take place that afternoon at Lake Success would start here only in the evening, because of the time difference between New York and Jerusalem, or perhaps because Jerusalem was such an out-of-the-way place, so far from the great world, over the hills and far away, that everything that happened out there only reached us faintly, and always after a delay. The vote, they worked out, would be taken when it was very late in Jerusalem, close to midnight, an hour when this child ought to be long since tucked in bed, because we have to get up for school in the morning. . .
After midnight, toward the end of the vote, I woke up. My bed was underneath the window that looked out on the street, so all I had to do was kneel and peer through the slats of the shutters. I shivered. Like a frightening dream, crowds of shadows stood massed together silently by the yellow light of the street lamp, in our yard, in the neighboring yards, on balconies, in the roadway, like a vast assembly of ghosts. Hundreds of people not uttering a sound, neighbors, acquaintances, and strangers, some in their nightclothes and others in jacket and tie, occasional men in hats or caps, some women bareheaded, others in dressing gowns with scarves around their heads, some of them carrying sleepy children on their shoulders, and on the edge of the crowd I noticed here and there an elderly woman sitting on a stool or a very old man who had been brought out into the street with his chair. The whole crowd seemed to have been turned to stone in that frightening night silence, as if they were not real people but hundreds of dark silhouettes painted onto the canvas of the flickering darkness. As though they had died on their feet. Not a word was heard, not a cough or a footstep. No mosquito hummed. Only the deep, rough voice of the American presenter blaring from the radio, which was set at full volume and made the night air tremble, or it may have been the voice of the president of the Assembly, the Brazilian Oswaldo Aranha. One after another he read out the names of the last countries on the list, in English alphabetical order, followed by the reply of their representative: United Kingdom: abstains. Union of Soviet Socialist Republics: yes. United States: yes. Uruguay: yes. Venezuela: yes. Yemen: no. Yugoslavia: abstains. At that the voice suddenly stopped, and an otherworldly silence descended and froze the scene, a terrified, panic-stricken silence, a silence of hundreds of people holding their breath, such as I have never heard in my life either before or after that night. Then the thick, slightly hoarse voice came back, shaking the air as it summed up with a rough dryness brimming with excitement: Thirty-three for. Thirteen against. Ten abstentions and one country absent form the vote. The resolution is approved. His voice was swallowed up in a roar that burst from the radio, overflowing from the galleries in the hall at Lake Success, and after a couple more seconds of shock and disbelief, of lips parted as though in thirst and eyes wide open, our faraway street on the edge of Kerem Avraham in northern Jerusalem also roared all at once in a first terrifying shout that tore through the darkness and the buildings and the trees, piercing itself, not a shout of joy, nothing like the shouts of spectators in sports grounds or excited rioting crowds, perhaps more like a scream of horror and bewilderment, a cataclysmic shout, a shout that could shift rocks, that could freeze your blood, as though all the dead who had ever died here and all those still to die had received a brief window to shout, and the next moment the scream of horror was replaced by roars of joy and a medley of hoarse cries and “The Jewish People Lives” and somebody trying to sing Hatikvah and women shrieking and clapping and “Here in the Land Our Fathers Loved,” and the whole crowd started to revolve slowly around itself as though it were being stirred in a huge cement mixer and there were no more restraints, and I jumped into my trousers but didn’t bother with a shirt or sweater and shot out our door, and some neighbor or stranger picked me up so I wouldn’t be trampled underfoot, and I was passed from hand to hand until I landed on my father’s shoulders near our front gate. My father and mother were standing there hugging one another like two children lost in the woods, as I had never seen them before or since, and for a moment I was between them inside their hug and a moment later I was back on Father’s shoulders and my very cultured, polite father was standing there shouting at the top of his voice, not words or wordplay or Zionist slogans, not even cries of joy, but one long naked shout like before words were invented. Others were singing now, everyone was singing, but my father, who couldn’t sing and didn’t know the words of the popular songs, did not stop but went on with his long shout to the end of his lungs aaaahhh, and when he ran out of breath, he inhaled like a drowning man and went on shouting, this man who wanted to be a famous professor and deserved to become one, but now he was all just aaahhhh. As he stood before the Knesset, as the representative of the country whose president ten presidents ago recognized the new, recreated state 11 seconds after it was declared, George W. Bush stood also as the representative of a country of an “almost chosen people” (in Lincoln’s immortal phrase) -- and he put into words, as close as words can come, the true alliance of hope and change in the world. 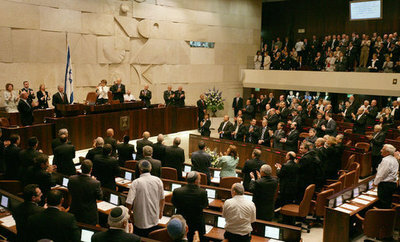 President George W. Bush receives a standing ovation by members of the Knesset Thursday, May 15, 2008, in Jerusalem. Acknowledging the 60th anniversary of Israel’s independence, the President told the Israeli parliament, “Earlier today, I visited Masada, an inspiring monument to courage and sacrifice. At this historic site, Israeli soldiers swear an oath: ‘Masada shall never fall again.’ Citizens of Israel: Masada shall never fall again, and America will be at your side.” White House photo by Shealah Craighead. President George W. Bush acknowledges Dalia Itzik, Speaker of the Knesset, as he visits the Israeli parliament Thursday, May 15, 2008, in Jerusalem. At right is Israel’s President Shimon Peres. White House photo by Shealah Craighead. Caroline Glick held a remarkable bloggers conference call yesterday, sponsored by One Jerusalem, which has posted the audio and a transcript. I separated [the columns] into themes and made ten chapters in the book. I started with “The War Against Israel,” which is basically a collection of columns that explains what the war against Israel looks like, in terms of the toll of terrorism, in terms of how Israel fights, and what is wrong with what Israel is doing. The second chapter is called “The War Against the Free World,” which is about . . . how Jihad manifests itself not only in Israel but throughout the world, from Malaysia to the Philipines to Africa to the United States and Europe, and what it is that the jihadists are doing and how their doctrine works. The third chapter is called “Israel Alone,” and it’s essentially about how Israel is alone in this – that even though Israel is the proverbial canary in the mineshaft, everybody is ignoring the bird -- and why everybody seems to be hellbent on preventing Israel from achieving victory -- either military or political -- against its enemies. The forth chapter is “Threat of Destruction” and it is about Iran’s nuclear program and why Iran is making nuclear weapons, why the West is so unwilling to do anything to prevent that from happening, and what Israel’s role in Iran’s nuclear weapons program is -- specifically to be its first victim. Then Chapter Five is called “Israel’s Suicide Attempt,” and it’s about all the political distortions and corruption inside Israel that makes public debate in Israel generally seem completely incoherent, or a dialogue between two opposing radical leftist camps, where the majority of Israel who are neither leftists nor radical are simply left out -- and that also goes into the withdrawal from Gaza, the problems with Israel’s judiciary and media and also Israel’s political system. The “Battle of Hearts and Minds,” which is Chapter Six, talks about psychological warfare, particularly how the enemy uses psychological warfare against free societies and makes it difficult for us to understand the war that is being waged against us, and what happens to people who try to explain the nature of the war, particularly in Europe. Chapter Seven [“Contemporary Thought Police”] is about how people are treated for trying to speak out against jihad in the West . . . about the problems in academia in the United States and Europe, as well as the European attempt to prevent counter-jihadists from having a role in policy-making and policy discussions in Europe. Chapter Eight is about Europe and is called “The European Betrayal” -- about how post-war Europe has fetishized the Holocaust to the point where they seem to be constantly mourning dead Jews but refuse to have anything but antipathy toward the Jewish state and live Jews trying to defend themselves against another Holocaust. And it goes also to the wider jihadist threat to Europe with the burgeoning minority threat and the challenges that presents to European culture and European politics. Chapter Nine is . . . a collection of the articles and columns that I wrote when I was embedded with the U.S. Third Infantry Division on the front lines of the U.S. invasion in Iraq . . . and watched as they took down a terror supporting dictatorship and then were struggling with the initial problems of what it means to actually have invaded an Arab country -- the whole notion of being occupiers and having to deal with an enemy whose war fighting doctrine is suffused with terrorism and psychological warfare. And then finally the last chapter is “The Light Unto the Nations,” and it takes a step back from the issues of the day and talks about what sort of country Israel actually is -- away from the headlines -- who the Jewish people are, why we’re worth defending, why we must defend ourselves, why Israel is the country that it is, and has achieved what it has, and why there are some things just worth dedicating your life to defending. Glick believes that, by organizing the articles around themes and collecting them in a single place, her book makes a unique contribution to the dialogue about Israel, politics and war – showing individual events as the tip of the iceberg and relating them to the iceberg itself. Anyone who has read one of her columns knows what she means. Glick went on to make a masterful presentation about what is currently happening in Israel, what the potential cease-fire with Hamas would mean, what she expects from President Bush’s visit this week and what she thinks the U.S. should do, how the election of Ehud Barak in 1999 (with the assistance of Clinton political advisers sent to Israel) changed the relationship between Israel and the State Department (with effects continuing to this day), why the resignation of Ehud Olmert might not occur (or change anything if it does), and finally why – despite everything she covered in her book and on the call – she is optimistic. All of the One Jerusalem calls have been invaluable, but this may have been the best one yet. Kol Hakavod to Anne Lieberman for initiating it and for asking her beautiful final question, which elicited an answer that should not be missed. (Accounts of the call have been posted by Atlas Shrugs, Boker tov, Boulder!, Daled Amos, Gateway Pundit, The Hedgehog Blog and Israpundit). 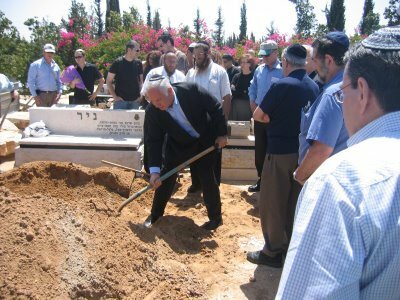 Well over a hundred people attended the funeral Sunday afternoon at the Hayarkon Cemetery in Petah Tikva. Among the mourners were Likud Party chair and opposition leader Binyamin Netanyahu, former defense minister Moshe Arens, former MK Uzi Landau, former Knesset Speaker, MK Ruby Rivlin, Jabotinsky Institute director Yossi Achimeir and MK Gideon Sa`ar. . . .
Katz was elected to the First Knesset on [Menachem Begin’s] Herut list. He is believed to have been the last surviving member of that First Knesset. A Knesset honor guard placed a wreathe on his grave. 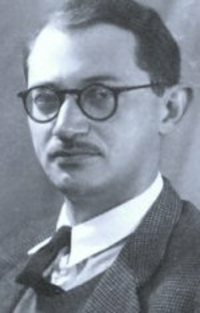 Katz himself wrote a number of important books, including “Days of Fire” and “Battleground,” as well as a two-volume biography of Jabotinsky called “Lone Wolf.” Katz served in the First Knesset; was, for a while, part of Begin’s delegation to the Camp David peace talks; and, here in New York, helped found Americans for a Safe Israel. Last year, when Judith Miller was preparing to make a trip to Israel, she asked whether there was anything she could do for us there. We asked her to stop in and see Katz and send a dispatch on how he was faring. It turned out to be, insofar as we can tell, the last major interview he gave. He was not happy with the current situation. “I have never felt so downhearted about Israel as I do now,” Katz told her. Katz had spent his last seasons finishing what would be his last book — a history of the Jewish spy ring known as Nili, which operated against the Turks in World War I, a brilliant telling of the heroism of Aaron Arohnson and his martyred sister, Sarah (whose portrait hangs in the editorial rooms of the Sun). The book was brought out but a few weeks ago. It is how, it seems, one of our greatest journalists dealt with his discouragement — moving to inspire new generations by telling of the heroism of an earlier one at a time even more imperiled than our own. Bibi mentioned how, when he asked his father about an author named "Samuel Katz" who published "Battleground" while he was in college, his father, Ben-Tzion Netanyahu, said "why, that's our Moekie [Katz’s nickname]. He really knows the issue". And he stressed the hasbara element in waging a struggle for Israel's security and future. There are some excerpts from Battleground here. The one on “Arab Refugees and the Right of Return” is particularly worth reading now. What tricks history can play — and within a lifetime or even half a lifetime. Theodor Herzl’s own rise to greatness happened over the space of little more than seven years. He was, after all, but a dashing foreign correspondent in Paris, assigned to cover the trial of a French Army captain named Dreyfus, when he walked out of court and, in a fury of inspiration, wrote, in Der Judenstaat, the essay that, along with the Zionist congresses he launched, made him what many, ourselves among them, see as one of the greatest figures of all time. Not that the idea of the restoration of Jewish sovereignty in the promised land was his invention. For centuries, Jews have ended Passover seders with the words, “Next year in Jerusalem.” The dream was echoed even by some of America’s own founders, who tended to view the world in the light of Sinai. The inscription on the Liberty Bell (“Proclaim liberty throughout the land ...”) is from the Hebrew bible. Madison himself spoke Hebrew. John Adams, we are reminded in the book “Israel in the Mind of America,” voiced in his later years the hope for “the Jews again in Judea an independent nation,” though his hope was tinged with supersessionism. . . . 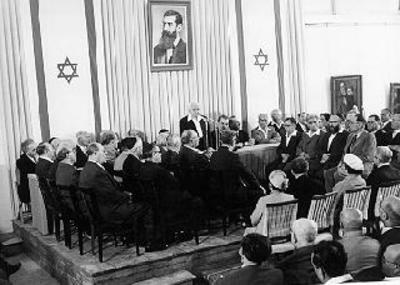 When David Ben Gurion declared independence on May 15, 1948, he did so in face of opposition from many among the world powers, including virtually everyone at our own state department. . . .
What stands out when we look back at the history of Israel is the wisdom of the strategic decisions made by its founders. They sided with Britain and the Allies in World War II even while aspiring — and conspiring — to throw off British colonialism. They plunged ahead, despite partition, even though it was detested by many. They stood in opposition to the designs of the Soviet Union, even though many of them came from Russia and favored a socialist approach. Israel made a profound bet on democracy, establishing a famously fractious parliament and independent judiciary and uninhibited press. Our contributing editor, David Twersky, observes that the notion, so widespread in the world, that a small nation state with a Jewish majority somehow reflects the worst of the last century rather than the best, turns political thought on its head. The Israelis, whatever the resolution of the territorial arguments about their ancient homeland, have established a decent, humane, and richly cultural life. It is among the best of what civilization has accomplished over the last century of blood and war, hopes crushed and millions destroyed. The anniversary that Mr. Bush will join in celebrating with Israel this week is a cause for celebration for all of us. Israel Independence Day commemorates something as close to a miracle as we are ever likely to see -- the re-creation of an ancient state in the Land in which it stood 2,000 years before, the resurrection of an ancient language to bind the ingathering of exiles who had no other place to live, the creation of a democracy that extended citizenship not only to Jews but to every Arab who did not leave or flee during the genocidal war against the state that commenced on the day of independence, and the subsequent growth of the state into a modern economy and a vibrant civil society while under continual military attack over six decades, including the religious crusade currently waged against it.. . .
[A]s Haviv Rettig writes, the “very first draft of the [Israeli Declaration of Independence] was a Hebrew translation of the American Declaration of Independence” . . . The picture of the American President addressing the Israeli Knesset at a time when the founding principles of both countries are under existential attack by a new totalitarian ideology will itself be an important moment in history. Appropriately for the week of Israel’s 60th anniversary, REFUSENIK -- a major new documentary -- opens in New York tonight, at The Quad Cinema, with special appearances by Natan Sharansky at the 3:30 and 6:15 screenings on May 11. 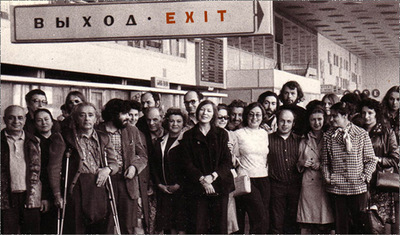 REFUSENIK is the first documentary to chronicle the thirty-year movement to free Soviet Jews. The film is the project of the remarkable Laura Bialis, currently living in Sderot where she is filming a documentary of the city on the frontline of Islamic fascism. REFUSENIK is a tapestry of first-person accounts of heroism, sacrifice, and ultimately liberation, told through the eyes of activists on both sides of the Iron Curtain. The campaign to free Soviet Jewry is a major event in Jewish history. By 1992, one and a half million Jews had left the Soviet Union to live in freedom as a direct result of what was likely the most successful human rights campaign of all times. One of the proudest chapters in Jewish history, the story of the refuseniks demonstrates the need for Jewish solidarity, the importance of the State of Israel, and the responsibilities we face as individuals living in a democracy. Much of the material used in REFUSENIK is unique and exclusive to this film. Interviews with key leaders in the movement are some of the first ever to be recorded. Many of the photographs and covert film footage -- some of it smuggled out of the Soviet Union -- have never been seen before by a large audience, and help make REFUSENIK a unique portrait of this amazing story. The reviews in the Seattle Times, Variety, The Jerusalem Post, Seattle Post-Intelligencer , and New York Jewish Week have been uniformly favorable. The brief trailer is itself well done. Bialis’ first film -- “TAK FOR ALT: Survival of a Human Spirit” (1999), the story of Holocaust survivor turned civil rights activist Judy Meisel -- was produced a couple years after Bialis graduated from Stanford University with a B.A. in History (focusing on wartime and post-war Europe) and an M.F.A. in Production from the USC School of Cinema-Television. The film won the Anti-Defamation League’s Dore Schary Award, aired on PBS on Holocaust Remembrance Day in 2000, and was honored by the Academy of Motion Picture Arts and Sciences as one of the outstanding films of 1999. Screenings of REFUSENIK are scheduled for around the country, and the film will be shown May 14 as part of the Los Angeles Jewish Film Festival.